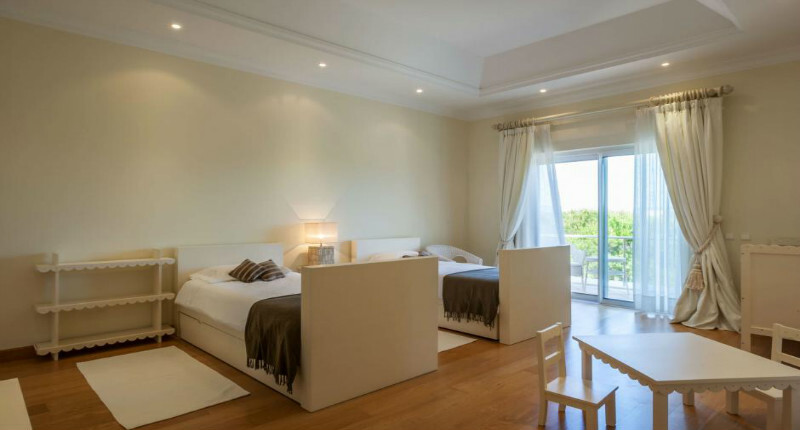 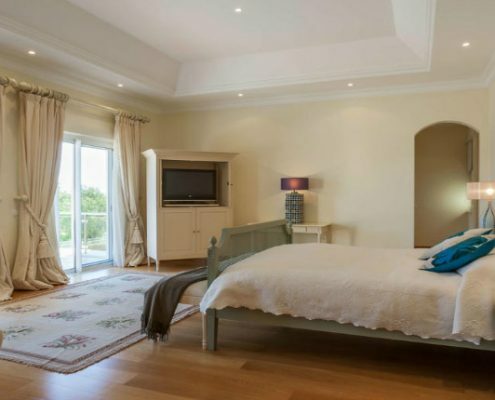 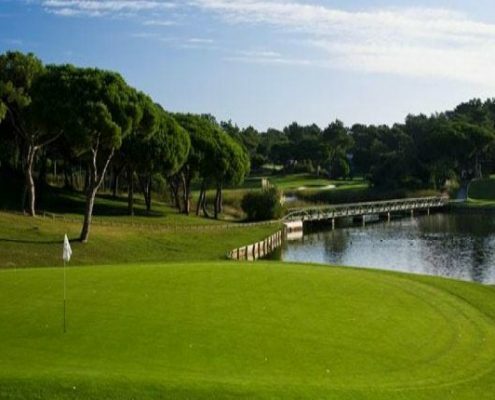 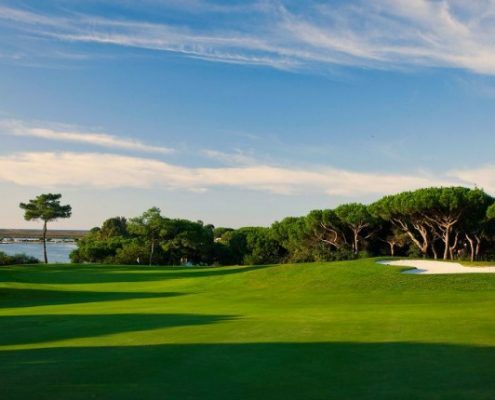 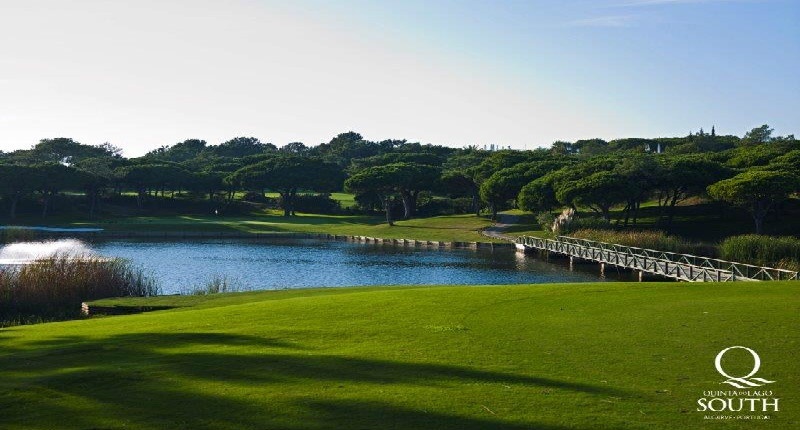 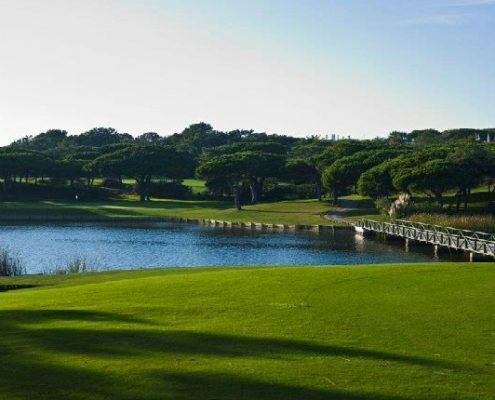 This 5 bedroom villa is in a prestigious location within Quinta do Lago with spectacular views of the sea. 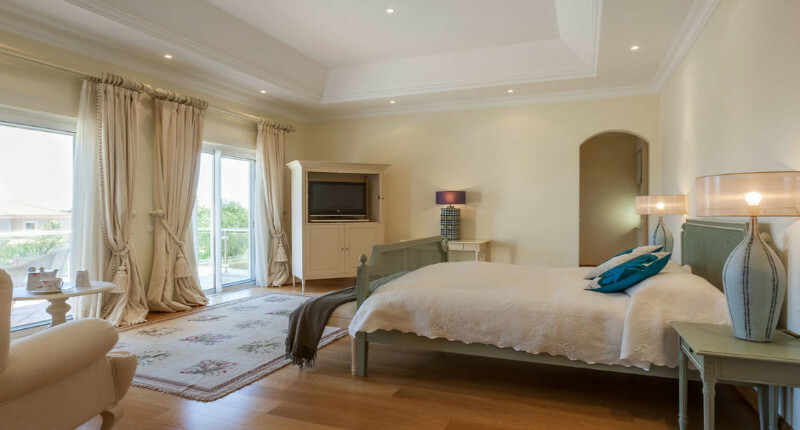 The entrance hall is luxuriously decorated and leads onto 2 en suite bedrooms. 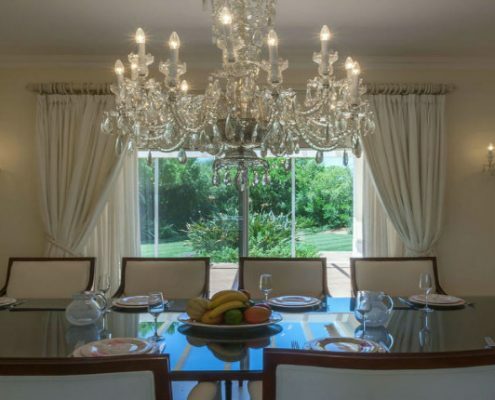 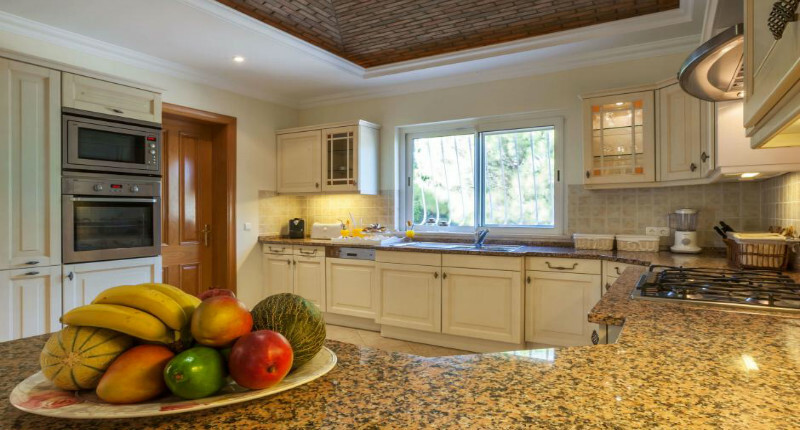 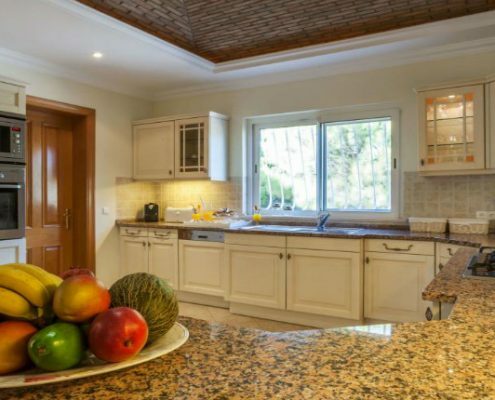 There is a fully equipped kitchen with direct access to the dining room, breakfast room and garden. 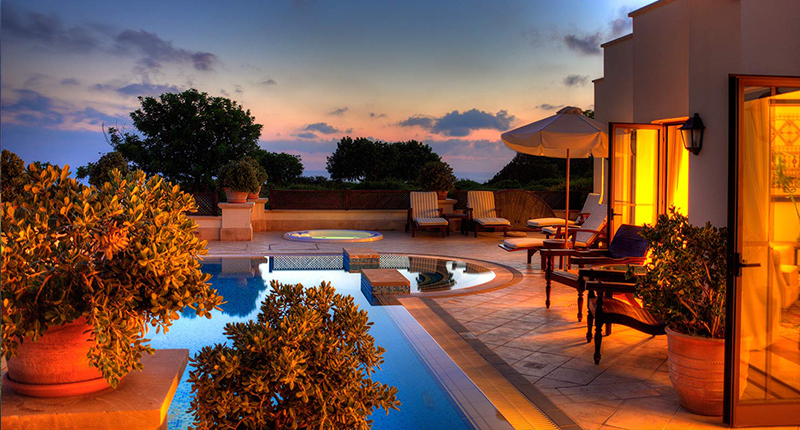 The living room opens out onto the pool and terraces. 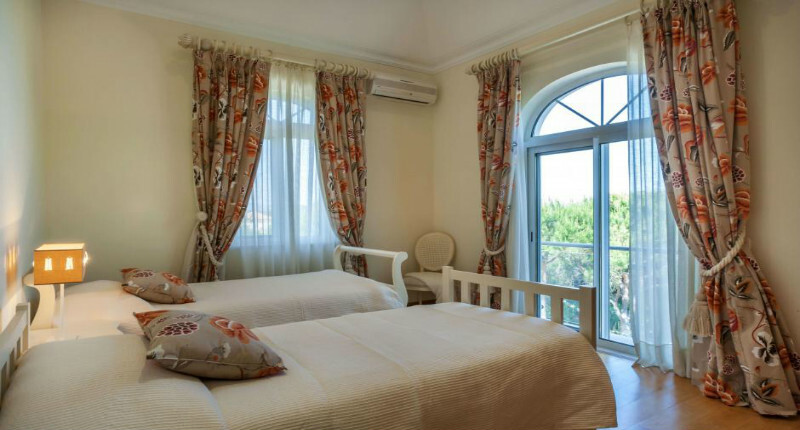 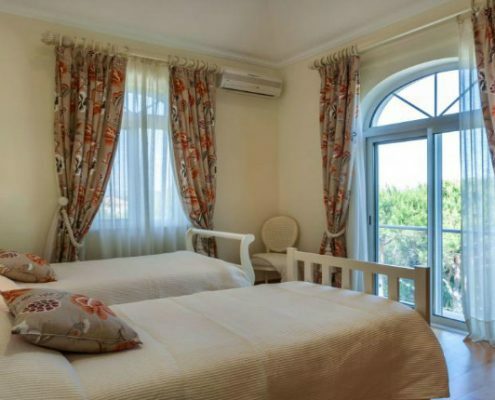 The first floor has the master bedroom, with a hidromassage bath and 2 twin bedrooms all en suite. 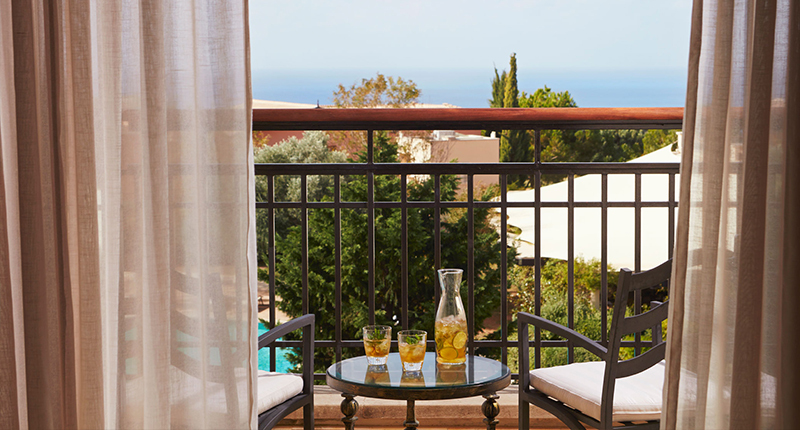 The beautiful, sun-drenched island of Cyprus is steeped in myth, legend and tradition. 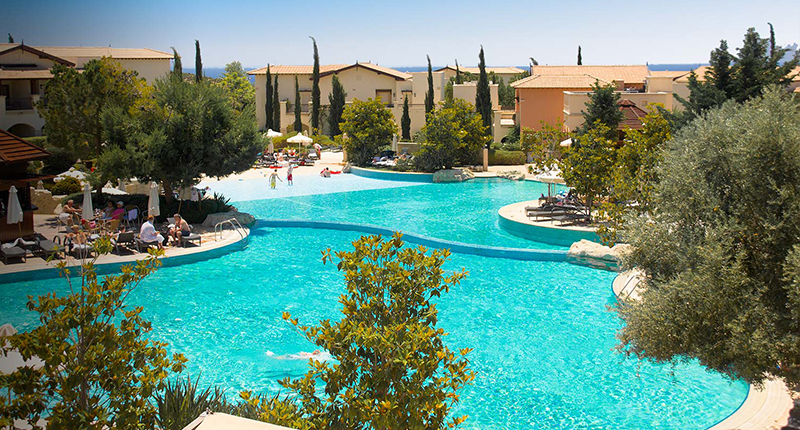 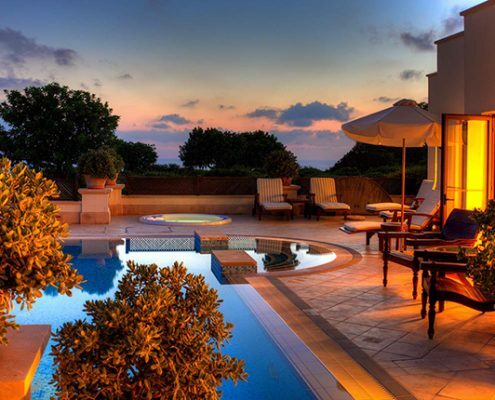 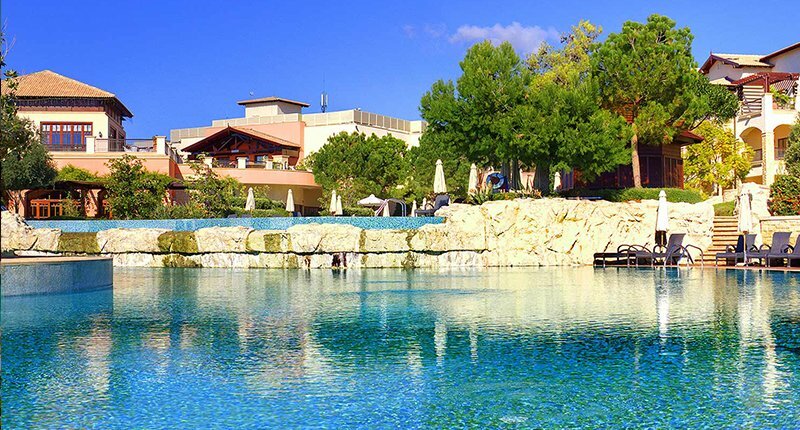 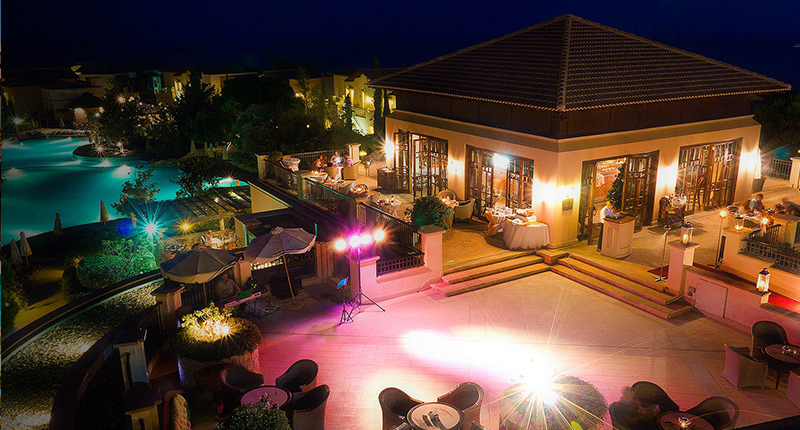 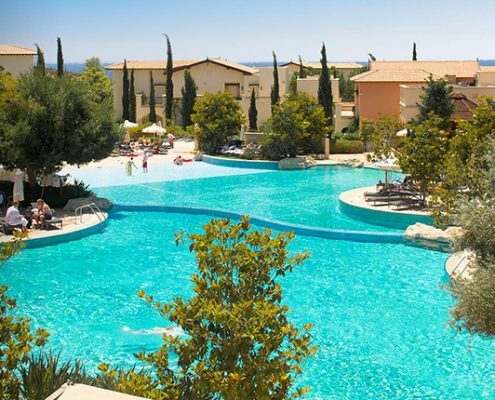 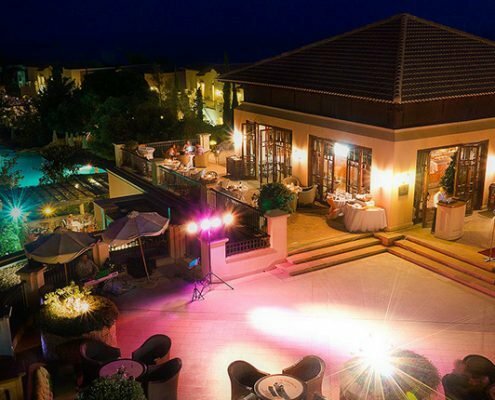 Nestled in the midst of a protected forest and overlooking the crystal blue waters of the Mediterranean Sea, the award-winning 5-star Aphrodite Hills Resort is unique and awe-inspiring. 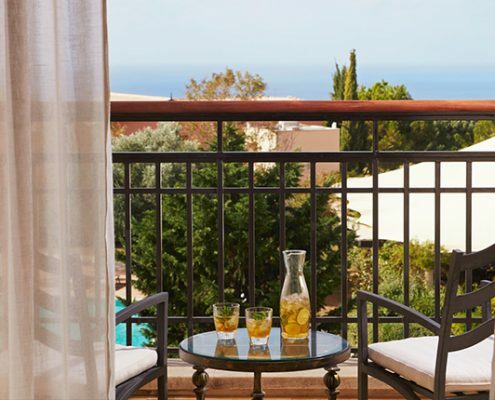 The luxurious 234-hectare Resort is magnificently positioned on two plateaux divided by a dramatic ravine and commands breathtaking sea views of the legendary birthplace of Aphrodite, the Greek goddess of love. 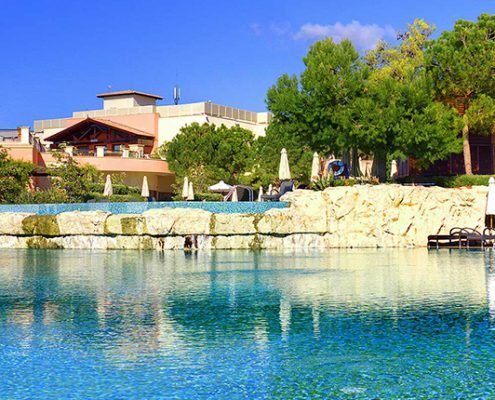 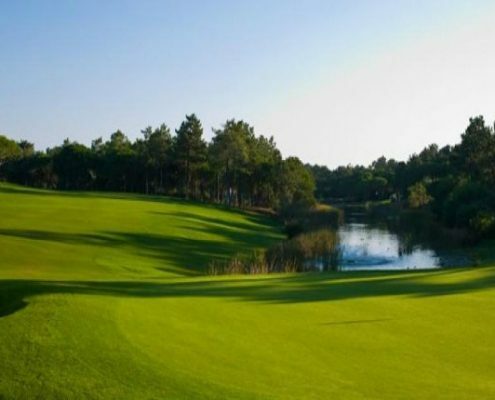 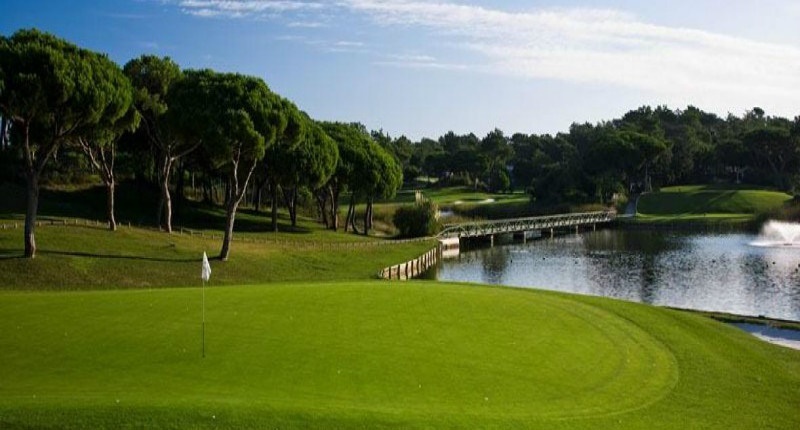 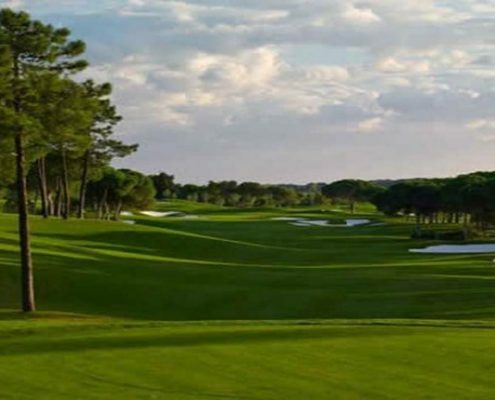 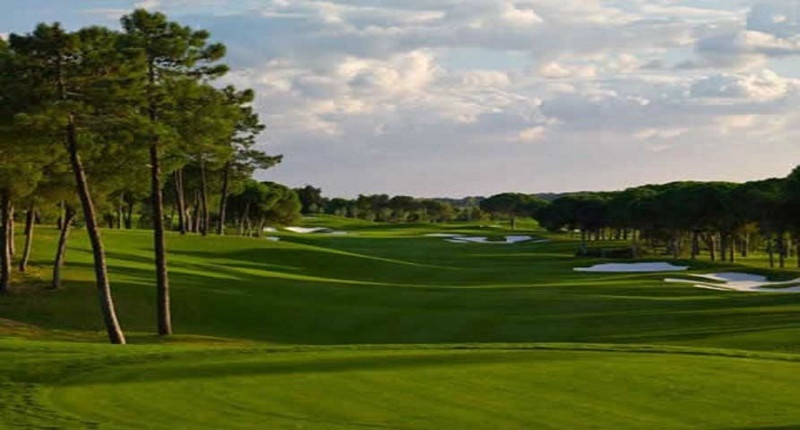 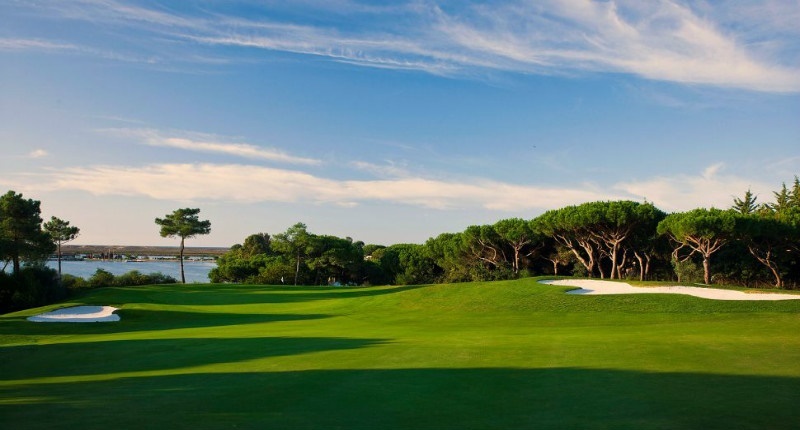 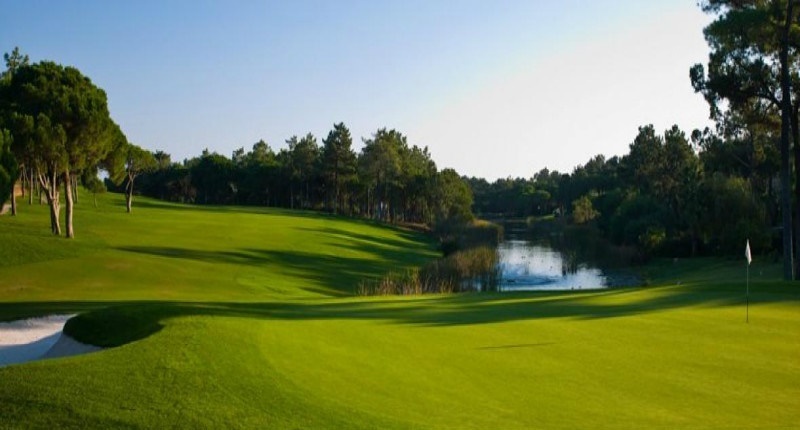 The first of its kind in Cyprus, Aphrodite Hills is an idyllic and fully integrated Resort for golfers. 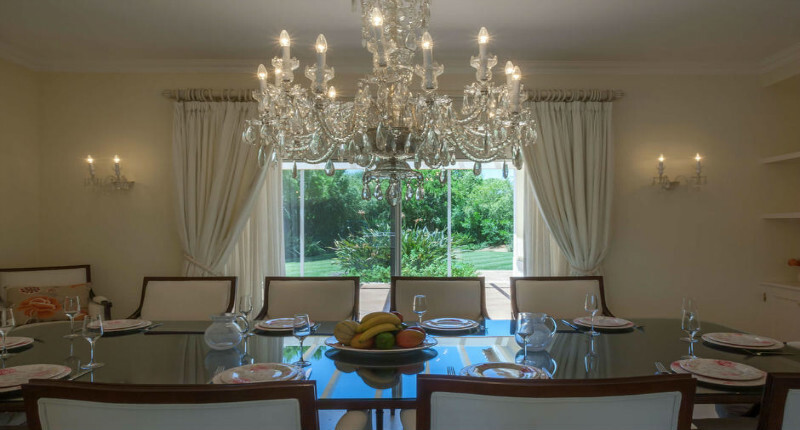 The diverse range of first-class facilities offer something to suit each and every visitor; whether it’s luxurious accommodation, world-class sports facilities, fine dining or relaxation.